The Backup Wizard is very user-friendly interface for creating a backup of the entire site, a partial backup, or allowing a site restoration from the last backup saved. This tool may be useful for freshers who use cPanel. Using the Backup Wizard, you can back up and save your entire website or a portion of your website. You can also use the Restore link to select files to restore portions of your site. To begin, first select whether you would like to back up or restore your website. Select Backup from the first page. Select Full Backup from the second page. You can store the files in your home directory on your web server by selecting Home Directory from the pull-down menu. 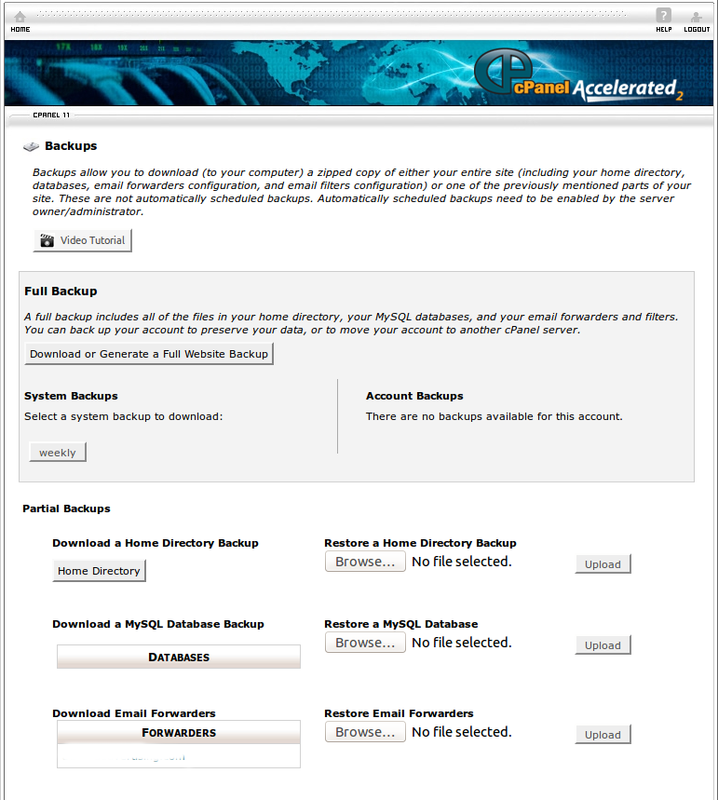 cPanel can also utilize FTP or SCP to store the files to a remote machine. To do this, fill in the appropriate information and select the method for file transfer from the pull-down menu. If you wish to download the file to your computer, skip to the next step. If FTP or SCP was used, an email will be sent to the email address that you specified at the beginning of the process. To download a copy of the backup file to your computer, click the filename under Backups Available for Download. The date the backup was created appears in the filename (which begins with backup-MM-DD-YYYY). The file will be stored as a “tar ball,” or compressed data file, with the filename extension .tar.gz. Select the portion of your site to back up by clicking Home Directory, MySQL Databases, or Email Forwarders & Filters. Click the appropriate link or button on the following page to store the required information to your computer or web server. Select Restore from the first page. Select the portion of your site you would like to restore by clicking Home Directory, MySQL Databases, or Email Forwarders & Filters. Select the file from your computer that should be used to restore the portion of your website that you have selected. Click Upload to finish the restoration process. What’s included in my home directory backup?